“Whose Hall? 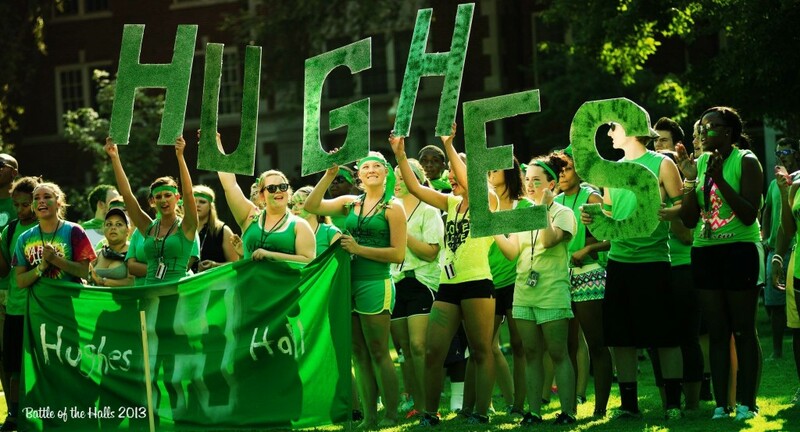 Hughes Hall!” This is the cheer of EDGE@Hughes, the best residential college according to its students. EDGE Residential College in Hughes Hall is a living & learning community focused on the themes of active global learning, civic engagement & service-learning, and meaningful study abroad. This is the place where you can make a difference! The purpose of EDGE@Hughes is to develop a community for students and faculty with shared interests in education, the liberal arts, global education, leadership, and making the world (and our local communities) better. Recently, Forbes calls a liberal arts degree “Tech’s Hottest Ticket” (29 July 2015). Why? Because companies are discovering that “liberal arts thinking makes them stronger.” And the College of Education is dedicated to preparing the teachers of tomorrow with exemplary programs from Arkansas’ premier educator preparation college. Jay Pittman dances in Kanembwe Village, Rwanda during our 2014 study abroad adventure! Heather Forsythe learns pot-making using traditional methods in Rwanda, 2014.